The Canadian province of Alberta has issued a request for proposal (RPF), soliciting firms to supply the technology for an online gambling site to be run by the provincial authorities. Companies have until Feb. 28 to enter their bids. The document states that the gaming to be offered will include poker, casino games, and bingo. The Alberta Gaming, Liquor, and Cannabis Commission (incidentally the most awesomely named government agency we've ever heard of) will be in charge of the new online gaming endeavour. The RFP issued on Jan. 17 stated that an online gambling presence was necessary to help the AGLC sustain revenue for the long term by using a new channel to provide gaming entertainment. “Without an online gambling presence, the AGLC and its products are not relevant to Albertans who are seeking their gaming environment in the channel that best suits their style,” says the RFP. According to official estimates, in excess of $350 million is spent by the residents of Alberta on unlicensed gambling sites. This is money that's currently not being taxed, and the province is therefore not deriving any revenue from it. Another concern motivating officials is preventing minors from participating and making certain that players have access to responsible gaming features. One touted advantage is that some of the funds generated will be used for amateur sports, non-profit activities, and community amenities. Spokespeople for the AGLC foresee that the winning proponent will be selected sometime in the summer of 2019. The launch of the online gambling site is expected to take twelve to eighteen months. At some point, the new website is expected to integrate with the Western Canada Lottery Corporation, allowing Albertans to purchase lottery products over the internet. Apart from Saskatchewan and Alberta, each of the other eight Canadian provinces offers gambling through the internet. Some of them limit their focus to lotteries alone, but others have experimented with poker and casino offerings. 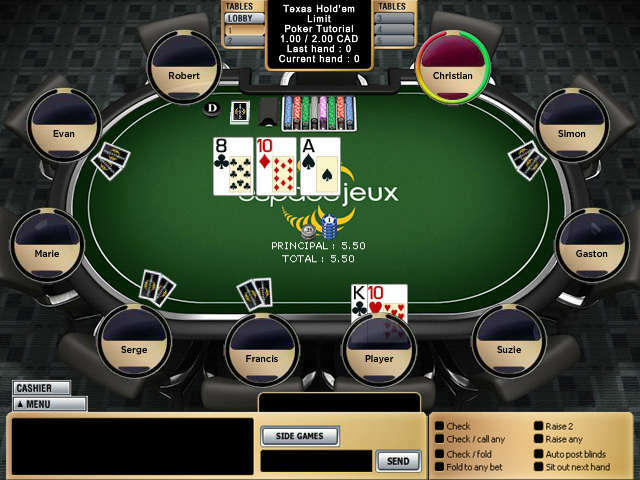 For instance, British Columbia, Manitoba, and Quebec host online poker sites. The most populous province, Ontario, allows its citizens to bet on lotteries and casino games online, but it doesn't spread poker games. Despite an agreement to share player traffic across the land, the provincially run online poker rooms have not exactly been smashing successes. According to industry resource GameIntel, the Canadian government-managed online poker sites account for an average of only 170 individuals playing simultaneously. This places them 32nd in the world. Because most international online poker halls accept customers from broad geographic areas, they often boast peak population figures several times higher than their counterparts in segregated markets. This is illustrated pretty clearly by the situation in New Jersey, Nevada, and Delaware, which have struggled to make their legalized online poker ecosystems economically viable. This matters less for casino, lottery, and sports betting enterprises because the quality of the product is not affected by how many people participate in it. In poker, by contrast, attracting a sizeable contingent of active users is critical in growing games because nobody can play by himself or herself, and the prize pools for tournaments can be paltry indeed if only a few people register for them. Unlike in the United States to the south, there's no law that aims to prevent offshore gambling corporations from accepting action from Canada's residents. This further enhances the appeal of these destinations because users feel safer depositing their money with companies that can more convincingly claim to be adhering to all relevant laws. In actuality, the legal prohibitions stipulated within the U.S. federal gambling statutes are largely an irrelevancy because there are any number of reputable American-friendly offshore poker operators who can't be realistically touched by the authorities in Washington, D.C. Still, public perceptions cannot be discounted entirely when companies endeavour to realize profits in such a widely denigrated industry as online betting. Because they do not enjoy a legally mandated monopoly, provincially established internet poker businesses must compete on an even footing with foreign gaming corporations. Given the large number of actors in this field and the fact that Canada's government-sponsored internet poker halls do little to differentiate themselves from the herd, it's perhaps unsurprising that they have met with a lukewarm reception from the gaming public. Some provinces aren't content to sit idly by and watch as their inhabitants spend their money with international gambling concerns. Quebec has sought to prevent these offshore businesses from reaping the benefits of access to its citizens. In May 2016, Quebec passed an ISP blocking bill to stop unlicensed operators, but this move was very controversial. Advocates of this ham-fisted intrusion into personal liberties took a hit when the Quebec Superior Court ruled in July 2018 that this plan was unconstitutional. The Court found that the legislation interfered in the areas of telecommunications and the criminal law: two items that are legally the domain of the Canadian federal government rather than the individual provinces. Thwarted in its efforts to ensure a monopoly for its Espacejeux online gaming portal, Quebec will have to instead attempt to bolster its revenue by offering a superior product: something at which most governments are woefully inept. It's very likely that if other provinces seek to pull similar stunts in the future, they'll be legally barred from doing so. Whatever ultimately transpires with the future Alberta internet gambling presence, it's unlikely to be much better than the disappointing online productions of the other licensed gaming provinces. Whether you live in one of these jurisdictions or somewhere else in Canada, you'll probably have a better time at one of the offshore poker sites that accept Canucks as customers. 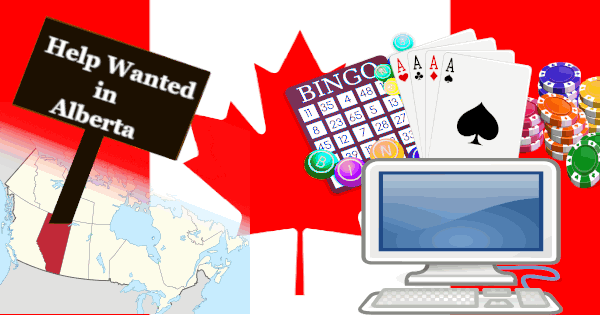 We've prepared a thorough guide to Canadian online poker sites that lists only reputable and honest internet gaming providers. Besides poker, you can also partake in casino games and sports betting at most of them.